Actor Rupert Grint saw some unbelievable and mind boggling things over the years whilst working in the wizarding world of Harry Potter… but his biggest shock yet may have come to him in the more mundane world of muggles, thanks to discrepancies in accounting dates. Grint made an attempt to change his accounting date from 31st July 2009 to 5th April 2010, as a result of the introduction of an additional tax rate of 50% in 2010/11. Had this change been approved, eight months worth of profits would have fallen back into 2009/10, allowing Grint to avoid the tax rate that wasn’t in place during that year. Unfortunately for Grint, however, the change was not approved. Well, sort of. After filing his 2009/10 tax return in 2011 with two sets of pages (a 2009 schedule and a 2010 schedule), his first change of accounting date was accepted by HMRC. That was until a VAT visit brought light to a new set of accounts which covered a 20 month period from 1 August 2008 to 5 April 2010. The FTT concluded that the two schedules which were originally filed were derived from the 20 month period “long accounts”, just being time apportioned versions of the broader figures. To establish a basis period for 2009/10, and for the intended change of accounting date to be successful, he needed to meet an 18 month test for a period of account. However, as only the 20 month long accounts could be considered as accurate accounts, they failed the 18 month test. A brand new version of accounts miraculously appeared in 2012, covering the same two periods that were initially filed. Where these were different is that they were written up on an accruals basis, rather than the previous time apportioned schedules. The FTT were happy to accept that these did in fact meet the definitions of “accounts”, however where they faltered is that they had materialised after the original 2009/10 return was filed – and so, they were discounted. 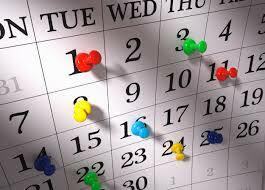 For most businesses, a change of accounting date isn’t necessary. There are, however, some who could access transitional overlap relief through the process. The simplest way to avoid the pitfalls that Grint came across? Signing off accounts before your tax return is filed. Not only are accurate accounts helpful to measure business performance, they’re also essential for determining any tax for which you’re liable.